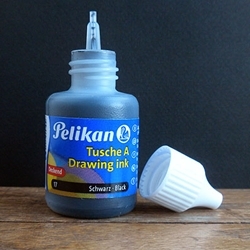 Pelikan Black Drawing Ink 30 ml Bottle - Opaque, non-fading, reproducible ink. (Not to be used for tattooing!) 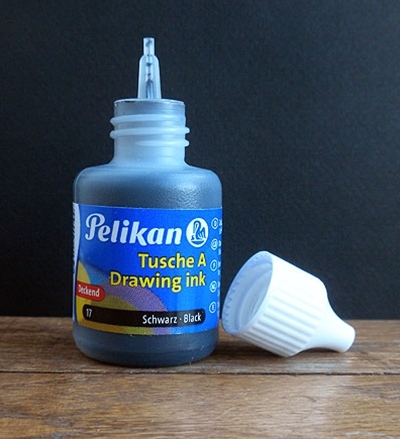 One of the most popular of all artist drawing inks. Made in Germany. Large bottle has a convenient dropper tip.